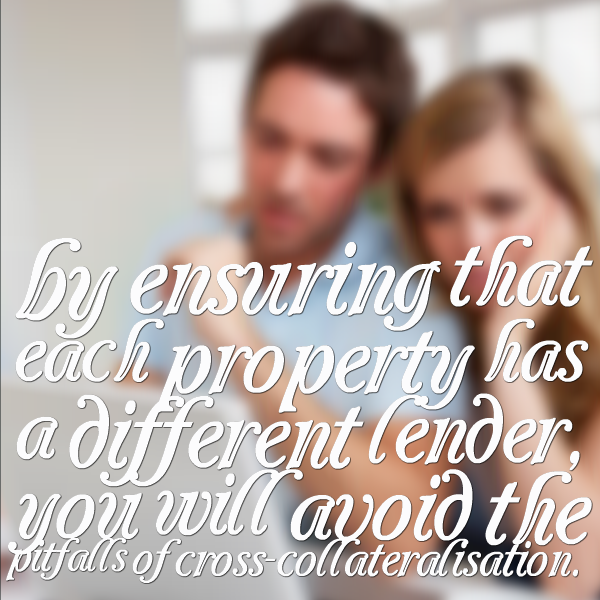 If you have more than one loan with a lender the chances are those loans are cross-collateralised. What that means is you have two or more securities against one mortgage. So that might be two houses or two investment properties against the one mortgage. Everything is intertwined. 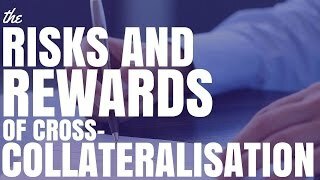 So what are the risks and the rewards of cross-collateralisation and should we go after it or should we avoid it? Basically what it means is you’re securing one loan against two or more properties. This means that both properties at acting as security for the one loan. This can have its benefits but it also has it’s downsides. From everything that I hear the downside totally outweighs the upside across the board. So it’s important to understand what the risks and rewards are you can make a decision as to how to best intertwine your portfolio and how best secure your financing. So let’s have a look at the risks first look at the doom and gloom. The first risk is when it comes to valuations. When you have crossed collateralised your property an individual valuation does not give you perfect access to the available equity in that property. Because if you have one good valuation and one poor valuation what is going to happen is those two will be meshed together and that valuation is going to evened out. What this means is that it’s highly likely that by cross-collateralising your actually going to minimise your borrowable equity (that’s the equity that you are able to borrow). If you had your loans separate and if you had properties separately secured against different loans and one property that hadn’t gone up in value then we just leave that to the side (we can’t do anything with that). But if you have a property that goes up in value significantly, well the chances are are that you will be able to borrow against that property to the maximum amount that you can. The first property would not affect the borrowable equity in the second property. It’s actually pretty easy to do in most cases. Speak to your mortgage broker for full details but basically by ensuring that each property has a different lender, you will avoid the pitfalls of cross-collateralisation. Risks number two is that you have no control over sales proceeds. This is probably the scariest thing I think. Because what it means is that if you sell a property, the bank can then take the proceeds from the sale and they can do with it almost whatever they want. They can pay off the mortgage on that property and then release the rest of the funds to you, or they could pay the loan off the first mortgage and take any profit you make and force you to pay down the debt on your other existing property that is with them. This has happened to many investors in Australia and they have been stung by this. Many investors will sell their property to access the equity – maybe they want to go ahead and reinvest or maybe they will use it to pay for their lifestyle or maybe they will use it to pay medical fees because they have some urgent medical need. It doesn’t really matters how they want to use it because what has happened to these investors there sold their property they have gone to look into their bank account and noticed that there’s a huge chunk of money missing! That’s because the bank has taken it to pay off the other loan which the property was cross collateralised against. Risk number three is being tied to a single lender. Because you’ve got so many properties all with the one lender it can then be hard to get those properties out that lender out to a different lender. Leaving you stuck with the one lender. Risk number four is reduced negotiating power. Because the lenders know getting out of a loan is quite difficult. It’s not going cost you an exorbitant amount of money but it costs you time and effort. They know you are unlikely to do this with a lot of properties so this may limit your negotiating power. They may charge you higher fees which is risk number five. Risk number six is you could have to much unneeded security against your property. In a lot of cases any loan to value ratio that is 80% or below you’re not going to be charged lenders mortgage insurance. But often if you have cross-collateralised you’ve got this huge amount security and against a much smaller loan and it simply isn’t needed. Why not just have one security against the loan and allow your other assets to stand free and clear and not be at risk of sale if something goes wrong or your loans get called in. Last risk is that you may be forced to sell your property (or multiple properties. If you sell one property and it doesn’t fully pay off the mortgage then the banks can force you to sell the other property that you have. This can still happen if you’re not cross-collateralised but basically the banks have more control if they are cross-collateralised and can force your hand a lot quicker. Ok, so we’ve looked at some negatives and let’s face it there are some pretty hectic negatives. The valuations and the no control of the sales proceeds are probably to big ones you need to think about. What Are The Rewards Of Cross-Collateralisation? If you have cross collateralised and you are feeling pretty depressed right now do do anything crazy because there are some benefits. The first benefit is that is the potential for easier credit. Now you may not necessarily automatically have easy access to credit because you’ve crosses-collateralised your properties but you may have easier access to credit than going with a separate lender. Speak to your mortgage broker about this because they will know more about whether this is actually the case for your situation. You can check out some of the brokers that I’ve interviewed or recommend here. Benefit number two is it can be beneficial if all properties have grown just a little bit. So if you’ve got a quite a substantial portfolio and you’ve seen growth in your properties but not significant growth. Maybe $5,000 or $10,000 per property. Well if you just had one property then it’s probably not worth going to the effort of trying to get a loan for equity in the property. Reward number 3 is that it can make things easier to manage. Because you’ve got one lender which you access from one online banking it can make life easier for you. Rather than having to navigate all of these different accounts with all of these different lenders. As you might know it often takes time for a transaction to go through so might take a day or two before money goes from one account to the other. But if they are all together with the one bank or lender then these transactions tend to happen so much faster (if not instantly). From everything that I hear the benefits DON’T outweigh the negatives of cross-collateralisation so in most cases most investors do go ahead and try and avoid this as much as possible. But obviously see a professional, speak to your mortgage broker or financial adviser about what situation is going to be best for you.